Elsevier Foundation is partnering with Girls Inc to bridge the gender gap for data analytics. Two front-runners in the campaign to bring diversity to the sciences are teaming up to introduce girls to data analytics in high school. The Elsevier Foundation and Girls Inc. of New York City announced their new program on March 21st. Pre-G3 is designed as a preparatory course for girls who have never experienced data analytics before. 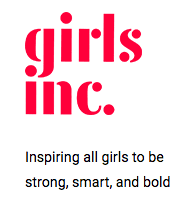 Girls Inc.’s flagship course — Generation Giga Girls, or G3 — offers girls the opportunity to explore skills in coding, sciences, math, and data analytics. After years in action, Girls Inc. discovered that confidence was a barrier to entry — many girls from underserved or low-income areas struggled with the basics of data analytics, making it difficult to embrace the G3 program. Now, Pre-G3 seeks to bridge the gap between these girls and the field of data analytics. By introducing girls to these skills from a younger age, and on a wider scale, Girls Inc. is able to prepare them for the more intensive program when they reach high school. The goal is to boost enrollment in high school data analytics courses, igniting girls’ interests in science, mathematics, and coding from an early age. Girls Inc. will be partnering with Elsevier Foundation to launch Generation Giga Girl (G3). Like Girls Inc., this isn’t The Elsevier Foundation’s first foray into feminist philanthropy. 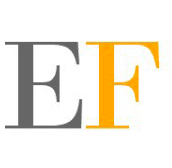 Funded by Elsevier, a publisher and global information analytics company, the Foundation seeks to support libraries, nurses, and female scholars around the world, focusing on the early and mid-level parts of their careers. The G3 and Pre-G3 programs are a way to support young women before they even start their careers — by introducing girls to coding, data analytics, and other STEM skills as early as the eighth grade, girls can discover a lifelong love for fields that they wouldn’t be exposed to through “normal” middle- and high-school curriculum. As more foundations turn toward educating and inspiring girls from low-income or underserved areas, programs like these pave the way for bringing STEM education to women around the world. For more information about the Pre-G3 program, check out the official press release and the Elsevier Foundation and Girls Inc. websites. 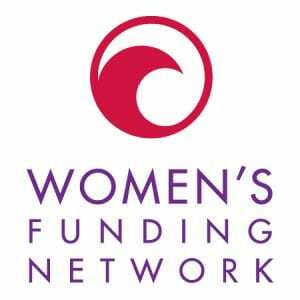 To learn more about campaigns that support female education and empowerment, check out the ways foundations are looking to hire ore women asset managers or learn more about efforts to unite female-led fundraising for girls’ education around the world.